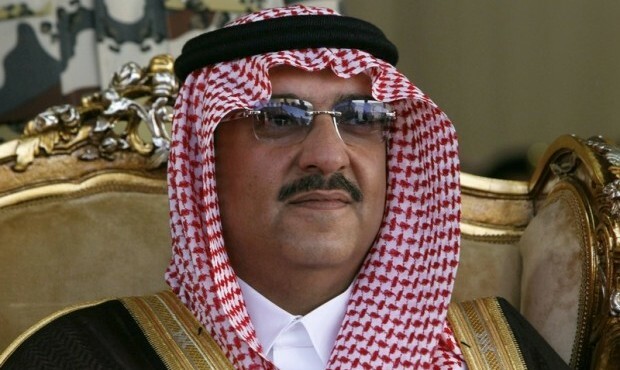 Muhammad bin Nayef bin Abdulaziz Al Saud, Crown Prince, Deputy Prime Minister of Interior of Saudi Arabia, chair of the New Council for Political and Security Affairs, and now first in line for the throne. Muhammad, one of ten children of Prince Nayef and Jawhara bint Abdulaziz bin Musaed Al Jiluwi, born second eldest son behind Prince Saud in August 30, 1959 is of the royal family House of Saud as the mother. Muhammad took degree courses at Lewis & Clerk College in the United States of America but did not receive the coveted degree certificate upon graduation. The Prince enrolled and studied Federal Bureau Intelligence (FBI), Security courses from 1985-1988. He also studied Anti Terrorism at Scotland Yard Unit in the years 1992-1994. 1999 – Muhammad took up first posting as Assistant interior Minister for Security Affairs. He implored his business background to influence and create rapport for the success of the ministry’s counter terrorism program and curved a niche as the architect of Saudi Arabia government’s counter terrorism guru. During this stint, the Prince also served as Director of Civil Defense and was highly placed as one of the country’s most influential and effective Assistant Interior Ministers in the history of Saudi Arabia. 2004 – Prince Muhammad got the King’s nod for promotion to the rank of Minister. 2009 – Muhammad bin Nayef excellent service with a difference in interior ministry endeared King Abdullah to appoint him as member of the influential Supreme Economic Council of Saudi Arabia to improve the country’s policy on economy. November 5, 2012 – King Abdullah’s decree dismissed Prince Ahmed as Minister of Interior and made Prince Muhammad the tenth full Interior Minister of Saudi Arabia’s historical dynastic rule. January 23, 2015 – King Salman’s report announcement placed Muhammad bin Nayef at the helm of the country’s mainstream administration as Deputy Crown Prince. This report announcement quelled fears on the suspense of succession and put the Prince in perspective on the line of ascension to the throne. Prince Muhammad has rubbed shoulders with two top world class leaders among others. Notably, David Cameron, British Premier – January 2013 and with U.S. President Barack Obama in Washington, D.C.- 14 January 2013 to discuss bilateral regional security issues. The Prince is numbered with few world class key decision making leaders who have influenced the cause of common good for humanity. Western Intelligence Agencies refer to him as “security channel,” with United States backing in facilitating ease access to security information for improvement of relations between the Arab world and the West. In a class of his own championing the cause of world peace, Muhammad has been the target of several assassinations attempts by members of Al-Qaeda in the Arabian Peninsula.